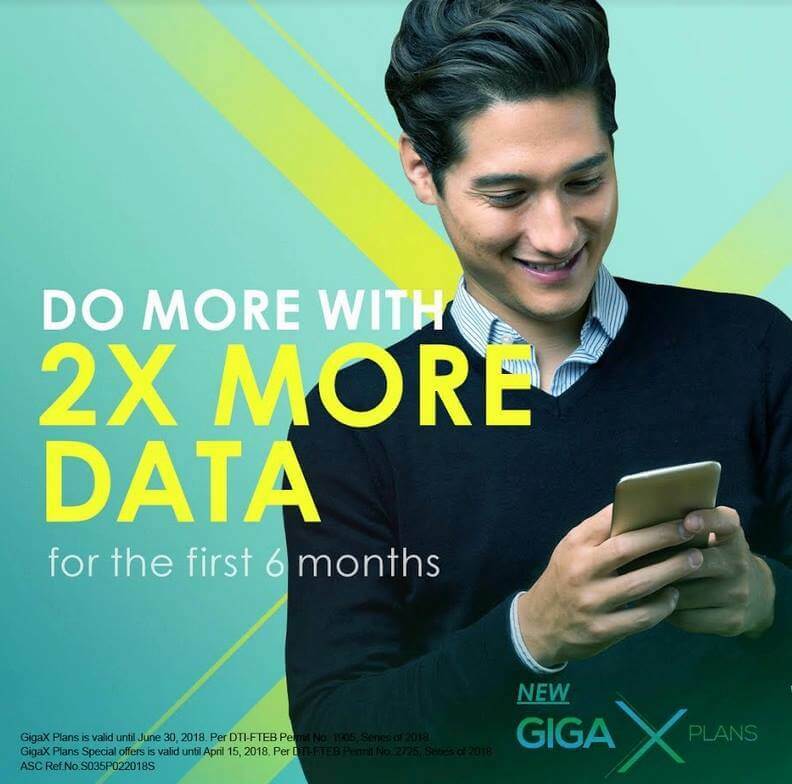 Smart Postpaid has announced its newest data-packed plan that will enable subscribers to stream more as it has 10GB of data for videos, and open access data of up to 7GB – the Smart GigaX Plans. Moreover, the new GigaX Plans come with GigaX Special Offers for Huawei Mate 10 Pro, OPPO F5 and Samsung Galaxy J2 Pro in six months. With this, consumers can get the Huawei Mate 10 Pro at Plan 2399, which includes 5GB of mobile data (or 10GB up to 6 months), 10GB of videos, unlimited all-net texts, and 60 minutes call to all network. On the other hand, the OPPO F5 comes with 9GB data for the first 6 months, that's twice the usual 4.5GB data for the Plan 1299. Moreover, subscribers also get 10GB of data for videos, unlimited texts to all networks, and 50 minutes all net calls. Meanwhile, the Samsung Galaxy J2 Pro is available at Plan 799, which includes 2.5GB of mobile data (or 5GB up to 6 months), 10GB of videos, 150 all-net texts, and 20 minutes call to all network. As Smart wants you to do more with the plans that give you more, consumers can enjoy up to 7GB of mobile data for surfing, and another 10GB of data to stream their favorite content from YouTube, iflix, Fox+, and iWantTV. Also, to continue the fun, subscribers can extend the validity of their unused data until the next month – this is valid for Plan 999 and above. While all plans are at a 24-month lock-in, Smart noted that all plans come with 1-month free Gadget Shield, too. The promo runs until April 15. For more information, visit smart.com.ph/gigax.